Legal Recreational Use of Marijuana Is Coming To New Jersey…. The process to legalize the recreational use of marijuana in New Jersey is already well underway. It has been called a “once in a lifetime opportunity”. Many investors and entrepreneurs have noticed the advancement in the NJ legalization process and are actively investigating the opportunities associated with this movement. 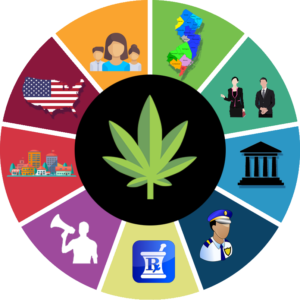 However, the presence of many stakeholders means that many challenges must be overcome if the legalization of recreational marijuana in New Jersey is to become a reality. Helping them understand the many challenges that lie ahead. Assisting them determine whether the opportunities are right for them. Developing and executing the plans and programs they require to be successful.